Cavalier Woods is a residential neighborhood located off Eastwood Road in Wilmington. This community has a mix of mid-priced homes built as far back as the 1970s. It's a popular community due to it's close proximity to Wrightsville Beach (1 mile away). There are no amenities, but residents have easy access to the Gary Shell Cross-City Trail and can walk or bike to the beach, Mayfaire Town Center, Lumina Station, The Forum, and more. The homes are all custom and surrounded by trees and mature landscaping, which makes for a very pretty neighborhood. Browse the listings below to see pictures, features, amenities, school information, and more. Please don't hesitate to contact us if you're interested in viewing a home or have questions about buying. 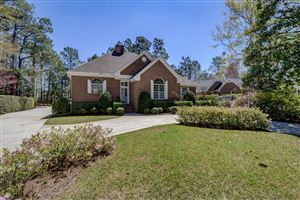 We can help you with this home community or any other in the Greater Wilmington real estate market.